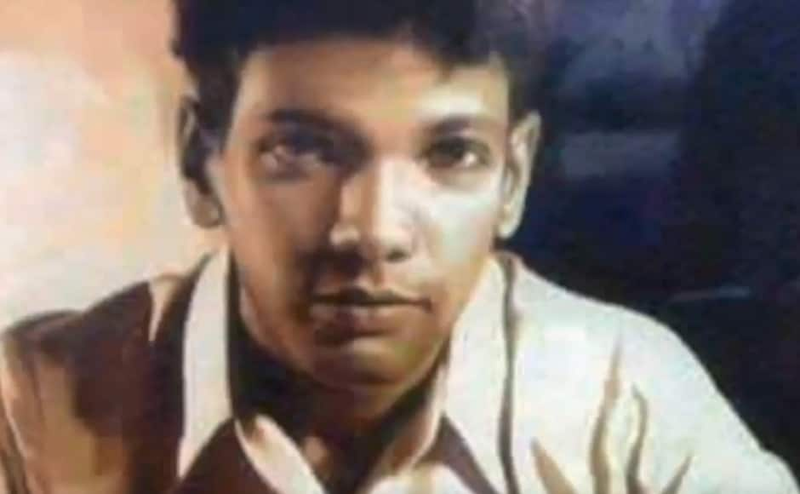 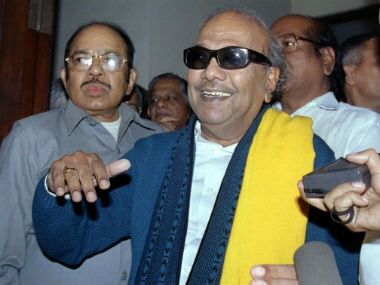 Dravida Munnetra Kazhagam (DMK) president M Karunanidhi passed away on Tuesday at 6.10 pm due to multiple organ failure. 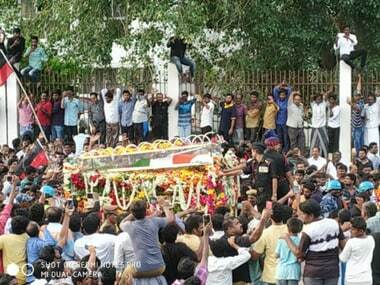 Actor Rajinikanth reached Rajaji Hall to pay his last respects to DMK chief Karunanidhi. 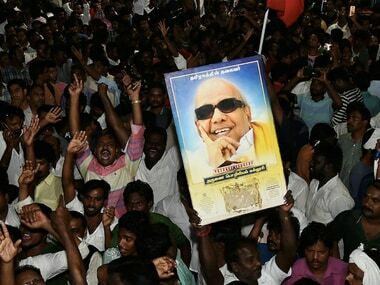 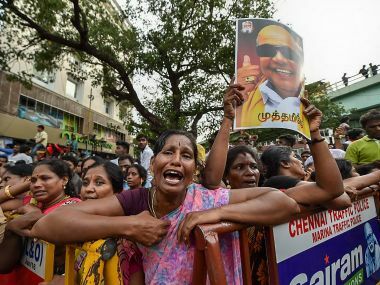 Rajinikanth, who arrived later on Tuesday, had failed to get past the massive crowd outside the residence and enter the residence. 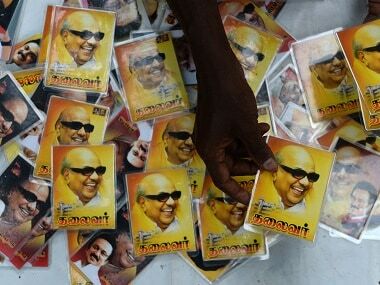 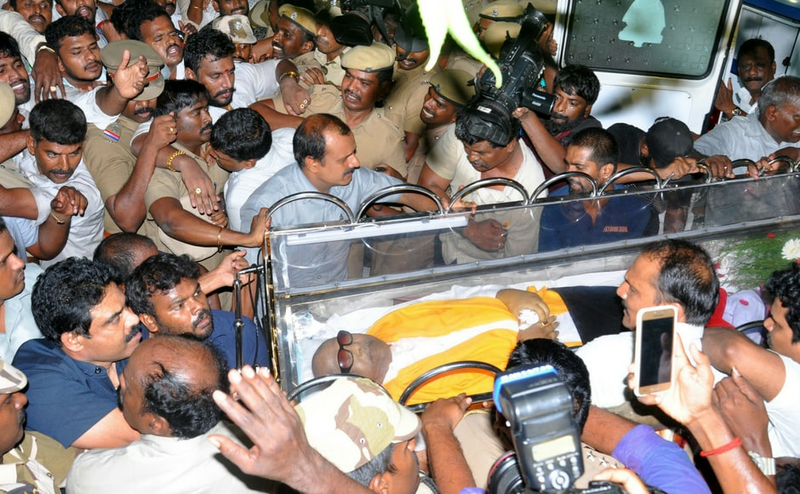 Rajinikanth reached Karunanidhi’s residence late on Tuesday night but had to return without seeing the Dravidian politics stalwart. 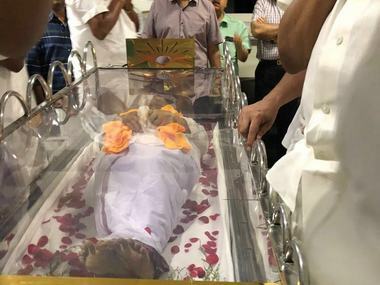 Following DMK president M Karunanidhi's death on Tuesday evening in a Chennai hospital, leaders from across all political spectrum have been conveying their condolences for their beloved Kalaignar.